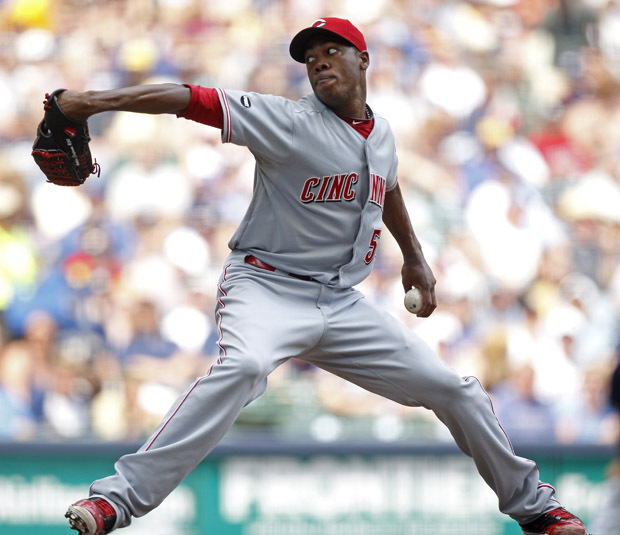 Cincinnati Reds reliever Aroldis Chapman throws against the Milwaukee Brewers in 2011. What exactly did Aroldis Chapman do? That’s the question at the heart of an $18 million lawsuit against the 24-year-old Cincinnati Reds pitching ace. The lawsuit came to light last week, mostly in the Spanish-language press. But it&apos;s starting get picked up by the English-language media as well, especially after Chapman was arrested Monday for driving 93 mph with a suspended license. Chapman may be the current record holder for the fastest recorded pitch with a mark of 106 mph, but if what the lawsuit alleges is true, he’s one royal scumbag. Chapman has not commented on the story and the Reds are officially declining to comment as well. Here’s what we do know: In 2008, Chapman – then a major star on the Cuban national baseball team – tried to escape from Cuba. When a prized athlete tries to leave the country or gets a whiff of another’s potential defection, they usually face wrath of the Castro government. For example, former Yankee great Orlando “El Duque” Hernández was banned from Cuban baseball after his younger brother, Liván, defected to the U.S. Hernández was forced to sit idle for two years before he pulled off his own defection. That’s not what happened with Chapman. After authorities caught him trying to leave, he arranged a meeting with Raul Castro. 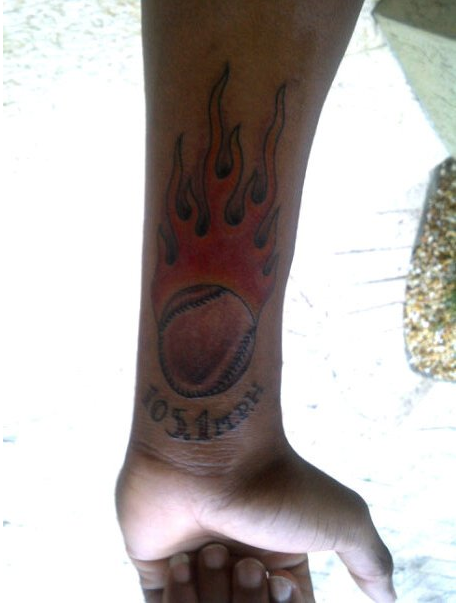 Chapman was kept out of the Cuban national series and the 2008 Beijing Olympics. But the following year, Chapman was a witness in a trial against a Cuban-American named Danilo Curbelo. In his testimony, Chapman accused Cubelo and one other man of “human trafficking.” By July, Chapman was back on the Cuban national team. Late that year he was allowed to play at a tournament in the Netherlands, where he successfully defected. What does the suit accuse Chapman of doing? The suit claims that, to square things with the Castro regime and to be allowed to play baseball again, Chapman set up Curbelo and his friend, falsely accusing them of enticing him to defect. (Defecting is refered to as human trafficking under the Cuban penal code.) Along with a slightly different story told by Chapman’s father, this testimony was the only evidence presented against Curbelo during the hearing. “. . . .sat down to talk on the white benches in front of the plaza, where . . . [Curbelo], who was hanging out with [the second man], told Chapman they could take him, right there and then, to a safe house outside the town of Holguín, and from there to another house. Then they’d drive him to a beach near Havana, where he’d have to walk a lot. “Then the men got up, still talking, and went toward the drugstore to the back of the plaza, where [Curbelo] continued to explain his plan to get [Chapman] out of the country, saying they’d come for him on that beach on a boat. “[The man] added that [Chapman] would be paid well, without mentioning a specific figure, but that [White Sox fielder Dayán] Viciedo got $20 million [after defecting], which was nothing compared to what [Chapman] would be paid. That’s all the evidence against Curbelo. The Cuban case doesn’t cite any physical evidence, just talk about a purported plan. In other words, Chapman had a conversation with someone about the possibility of leaving, turned around and called the cops. If true, then by Chapman’s own account he snitched on these men for what they said, knowing full well that it would get them in trouble – and in the case of Curbelo, a Cuban-American whose expat status makes him suspicious in the eyes of the goverment, big trouble. So why would Chapman testify against these men? You only testify in Cuba for one of three reasons: One, you’re compelled to do it. Two, you’re compelled to do it – for a reward. Or three, you are a super-committed communist. There are people who are, but that’s clearly not the case with Chapman, who had tried to defect only three months before. Curbelo claims his friend (the second man) asked him for a ride to a nearby town, where he planned to run errands. Chapman lived there, and the man claimed to be acquainted with the legendary ball player. He promised to introduce Curbelo to Chapman if he came along. Curbelo says the meeting took place during a second errand, when they ran into Chapman on the street. Curbelo asked Chapman when he was leaving the country; surely he’d make a lot of money playing ball in the U.S., given what lesser Cuban players were earning there. The Cuban court notes that the second man told Curbelo to shut up and that the two were immediately cold-shouldered by Chapman. To be clear, Curbelo is not a sports agent, nor is he involved in professional sports or talent management. Cuba has strict laws against agents, as well as anything that smells like professional sports. Anybody trying to arrange a professional contract for anyone in Cuba is breaking the law. But this guy was a farmer! Once Chapman was a free man in the Netherlands, he claimed he was able to escape from Cuba by pretending to go along with whatever the Cuban government wanted, including making false accusations, according to some reports. He did so without mentioning Curbelo or the other man by name. Curbelo’s wife told El Nuevo Herald that she tried to reach out to Chapman after he said publicly that he missed the daughter he’s never met – he fled Cuba before she was born. * These translations are mine – AO.